This event welcomes aboriginal youth, and is filled with fun activities and workshops geared towards education and career planning. 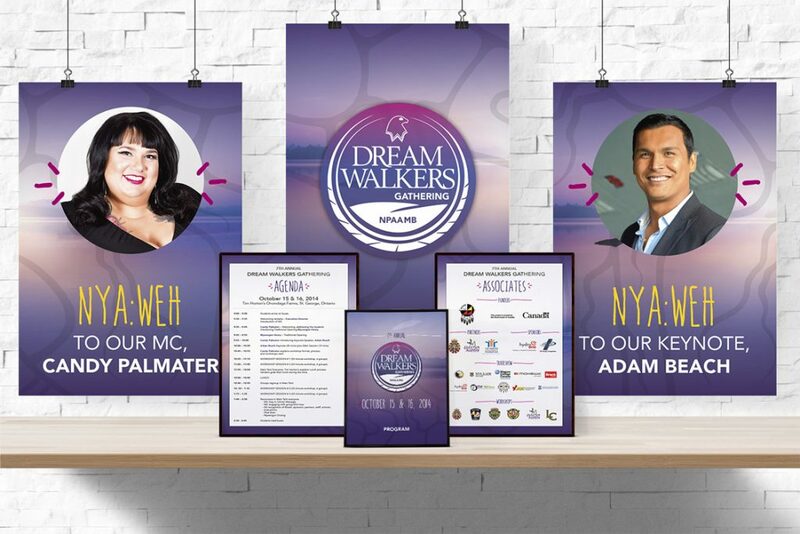 NPAAMB (Niagara Peninsula Aboriginal Area Management Board) required a variety of custom event materials for their annual Dream Walkers Gathering in October 2014. We came up with a fun, modern feel that would appeal to teens and brought in some Aboriginal artwork elements to tie the look together. This theme was carried across all of the materials, including posters, agendas, and promo items (gum packs, lip balm, e-grips, baseball cards, hand sanitizer and mints).